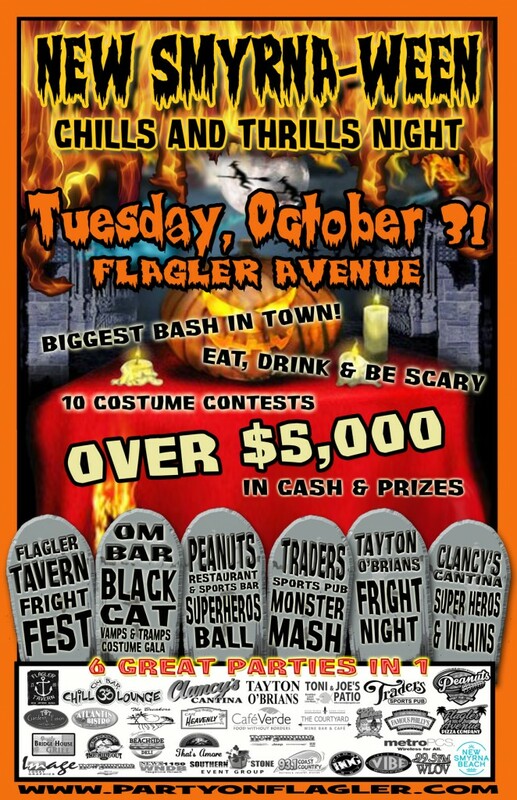 Flagler Avenue is the place to be on Halloween night, Tuesday, October 31, 2017 with 6 great parties in one, including over $5,000 in cash and prizes and over 10 individual costume contests throughout the night inside sponsor locations. Just a reminder to everyone that Flagler Avenue will be closed to car traffic for the safety of pedestrians crossing the street from 8pm to 1am from Pine to S. Atlantic. Open container laws are still in effect (in other words no open containers on the street as always). Plan to arrive early or park on side streets and in parking behind businesses. Lots at Jessamine near Cooper, Beach parking lot are all open etc. Please celebrate responsibly this evening!